Past-Life Healing—You can change your past lives! This is the profoundly healing, transformative approach to past-life regression that Sylvia practices. It goes far beyond conventional Past-Life Regression therapy, making it possible to completely transform limiting, fearful patterns of self-condemnation, self-judgment, guilt or blame and embrace love, forgiveness and grace. Once you do, it changes everything—past, present, future. By choosing to meet issues with love instead of fear, you immediately change your past-life timeline. The new timeline created by loving, compassionate choices becomes the real one as the old one fades, almost as if it happened to someone else. The healing effects ripple outward to this and all other lifetimes. She learned this revolutionary approach from Kev O'Kane, a highly trained and innovative hypnotist and teacher who certified Sylvia as a Past-Life Regressionist in 2009. Past-Life sessions are available in person or via Skype: Initial Session $333 (approx. 3 hrs); subsequent sessions (approx. 2 hours), $222. Note: An Akashic Records reading is recommended before a PLR session, particularly if you are new to this process or have difficulty moving into deeper states of consciousness. It will help us determine if a regression would be beneficial to you. Frequently, through my Akashic Records readings, important past-life issues can be identified, understood, and in many cases, cleared. Initially, before we began the session, I had a concern (small, but admittedly present) that I might feel 'silly' during the process, or that I might feel as if I was going to be self-inducing some kind of imaginative sojourn into a past lifetime. Instead, I found it very deep and meaningful on so many levels. Both [lifetimes] felt equally 'real' and I sensed I was being given a great gift by being able to access this information. I could probably write volumes about a subtle shift in consciousness, but the main changes I'm noticing are less of a tendency to go on 'automatic pilot' in the way I am perceiving, and reacting to, my daily reality. Also, I feel a bit more confident in my ability to create artistically - in a sense of 'giving up' perfectionist control and embracing more of a feeling as if I am a channel or conduit for creative energy. It's as if I'm 'getting out of my own way' more…. I realize I could not have accessed this kind of experience without your expert guidance–your sensitivity, skill and compassion during the session–and I am profoundly grateful to you. Two weeks after my marvelous past life exploration and transformation I still feel the energetic changes through my entire being. I can't really explain it with words but I know that my subconscious was shifted in a way that has allowed me to be more open to do inner healing related to past trauma (this lifetime). I also felt an incredible feeling of peace after the session. I never knew that a past life could be changed. When I 'awoke' [after my session] I was tired, energized, dumbfounded, wise and present all at the same time. I knew my relationship was healed.... I consciously cleansed any obstacles or unresolved matters I had with my ex-boyfriend with this past life regression session. Sylvia, you were fantastic! Healing in this way is the only version of past life regression that should be conducted. The point of this lifetime should be to move forward in a healthy way without clinging to past mistakes or past experiences and if it means changing the recollection one has of the past then that is the way to go! AWESOME! Thank you again. 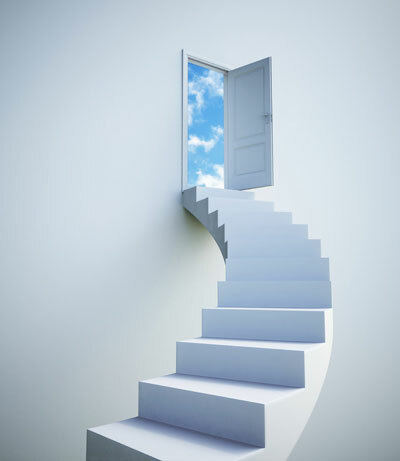 Sylvia's approach to Past Life Regression is healing and gentle. She skillfully navigated my journey into what appeared to be a desolate lifetime experience while managing to maintain a healthy distance from it. Most critically though, she facilitated a healing of the events that took place, allowing all the characters to live the full lives they were intended to live. For several days afterwards, I felt physically lighter. My intention at the close of our work together was that people could see and recognize my "light," the light we all have. Just the other day, someone I just met told me I had "great energy," a comment I appreciated. Sylvia's past life regression work is to be incarnated for. Never has a session with any spiritual initiate been so powerfully wholesome and informative. The level of access into the akashic records is profound and tunes to a channel that is not only clear but full of love and light. Wonderful shifts in perception and a greater knowledge of my soul history continue to leap up at me even after the sessions. Sylvia Chappell is the best of all my Past-Life Regression (PLR) students. She has done several PLR sessions for me personally, and is the most efficient, generous, capable, and diligent Regressionist I’ve ever had the pleasure to work with. Sylvia is wonderfully intuitive, seeming to know exactly what each client needs and how to help them find it. She is not only gifted in the techniques of a PLR session but in compassion, understanding and caring. She is dedicated to your healing.